Even in theory, a linguistic experiment on children doesn’t sound like a good idea, but to allow this experiment to be perpetrated on your own child is sort of appalling. To purposely teach your child to be a societal outcast (sorry, Trekkies) is just cruel. And, we’re not the only ones to think so. The experiment received a bit of media attention when it was first revealed. If Amy Speers would allow someone to experiment on her own child, what would she allow for the children of Adams 12? It’s a legitimate concern. And, the stakes for Adams 12 are high. The school district has been plagued with problems from its contentious union negotiations, accusations of budget mismanagement, and petulant union protests. With the availability of several pro-reform candidates, the negative union influence on Adams 12, and the odd language experimentation with her son, why would voters in Adams County even consider Amy Speers as a viable candidate? This article is nothing more than a smear tactic! Studies show that learning a second language; no matter what that may be show higher cognitive performance in overall basic skills and social development. You obviously have no faith in your candidate(s) if you have to go to these measures! I would love to know who you are supporting (funny how that has been omitted)! Let me turn the tables and ask you a similar question. If your candidate(s) allows you to smear a fellow candidate and attack her child by calling him a societal outcast, then what would you or your candidate allow for the children of Adams 12? If you go to these measures, who knows what you will do to our kids. You said it well, "It's a legitimate concern. And, the stakes for Adams 12 are high." Learning a second language makes learning other languages easier. Klingon has been developed as a real language and will do no harm to this child. 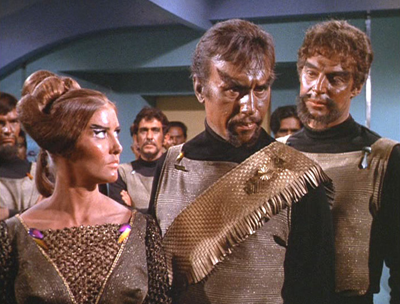 If the Speers' family is into Star Trek their son will have plenty of chances to us Klingon. Maybe he'll be a nerd, so what? I have raised 4 of them and they are doing just fine, thank you very much. One of my children speaks several real world languages plus Elvish and some Klingon. She graduated with honors from CSU, so I don't think a little Klingon did her any harm and I am pretty sure it won't do Amy Speers' son any harm either. This article is absurd. He did the child no harm except the imagined damage you yourself dreamed up and attempted to extrapolate upon us all. I don't know what political parties are involved, but thisinvolved is a sad attempt at a hit piece. UW is just one of the institutions that has found that teaching very young children more than one language has helped those kids develop additional pathwYs in the brain. Who cares if they taught him Klingon, it's hardly a dangerous experiment. People are too soft now. Next we'll be hearing about teachers being let go for grading with red ink, as it's too offensive and hurts feelings. Ryan Ellison, everyone has the right to teach any language. The relevance here is that Amy Speers is RUNNING FOR SCHOOL BOARD. People should know about the candidates and the choices they make CONCERNING THE CHILDREN in a school board election! Adams 12 deserves better than this candidate. We can do better for our kids. Don't elect someone who thinks that it is OK to experiment on an infant. Kids are not lab rats. Seriously? Enraged about this? I'll teach my child any language I want, it's none of your damned business. With all that's wrong with the country and Colorado, you can do better than this.